When playing Pico Pirates, you are fighting at the Pirate Championships. Shoot down the other ships to be the last pirate standing. You are just one little pirate on a big ship. So you will have to run around at the ship really quickly, to steer, get speed and of course shoot at the other ships. 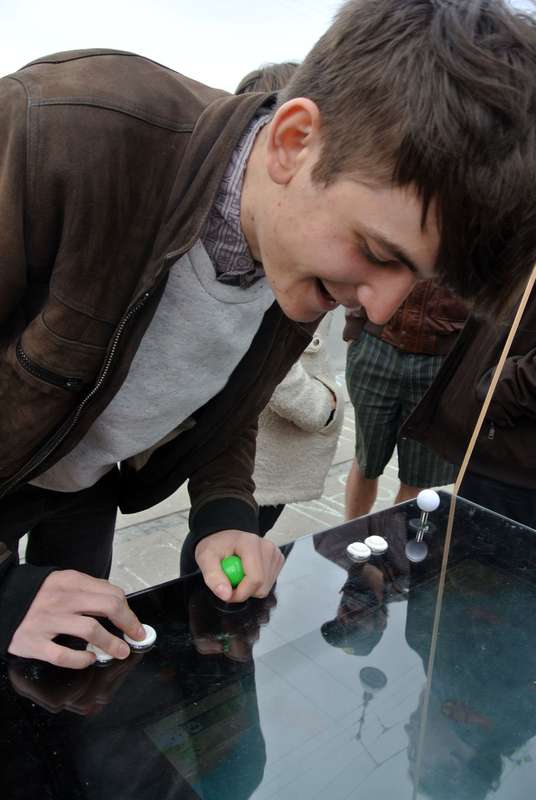 The game is a 4 player game, played on the amazing bike arcade made by Copenhagen Game Collective. It is a game to be played in a social setting. At festivals, in the streets and whenever you want. It's simple to control and easy to pick up, but can be very difficult to master. 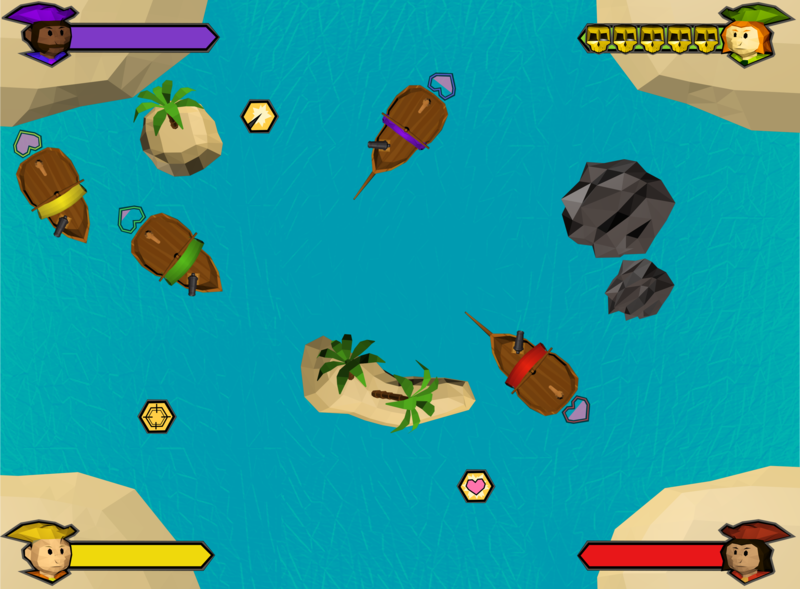 Sail around in the pirate championship arena and shoot at your enemies. That's all most of us needs. But when you have played a round or two, you start to realize that you can do more. There are ways to be more strategic than just firing away (although that is still a complete legit way of playing), ways to cooperate with the other players and of course ways to mess it up for the other pirates. 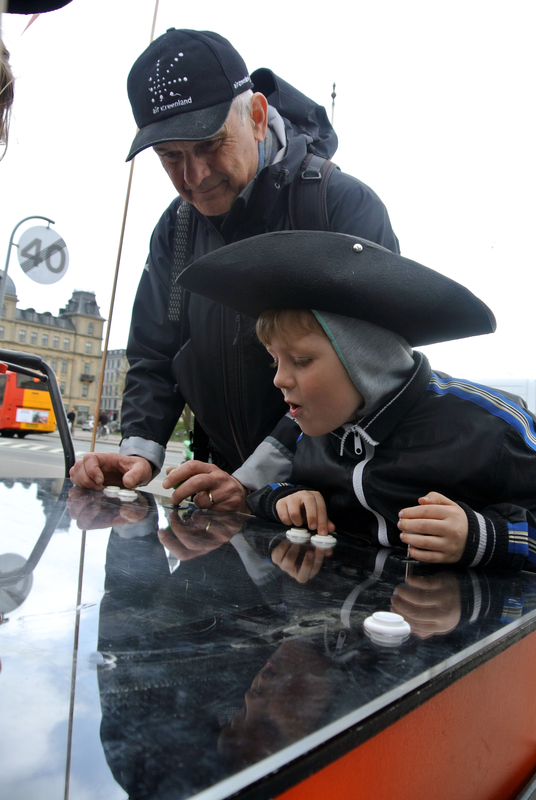 Pico Pirates is a game made by the Copenhagen-based game developer team STEVE. Taking our first game design steps at the IT-University of Copenhagen, we have learned about games the fun way; by making them. We have an ambition to take games out of the gamers' basements and out into the world. This is our first game together as STEVE. We hope you have fun! There are currently no trailers available for STEVE. Check back later for more or contact us for specific requests! There are far more images available for STEVE, but these are the ones we felt would be most useful to you. If you have specific requests, please do contact us!